I wanted to do something ‘special’ for my precious daughter, Aedita, today being Valentine’s Day. So I scrapped this sensational photo of her. Aedita’s friend Emma, from Emma Culbert Photography took this photograph and I just love the colouring and the angle of this shot. I’ve totally fallen in love with this Designer Series Speciality Paper called More Amore. The colours are so muted and soft. 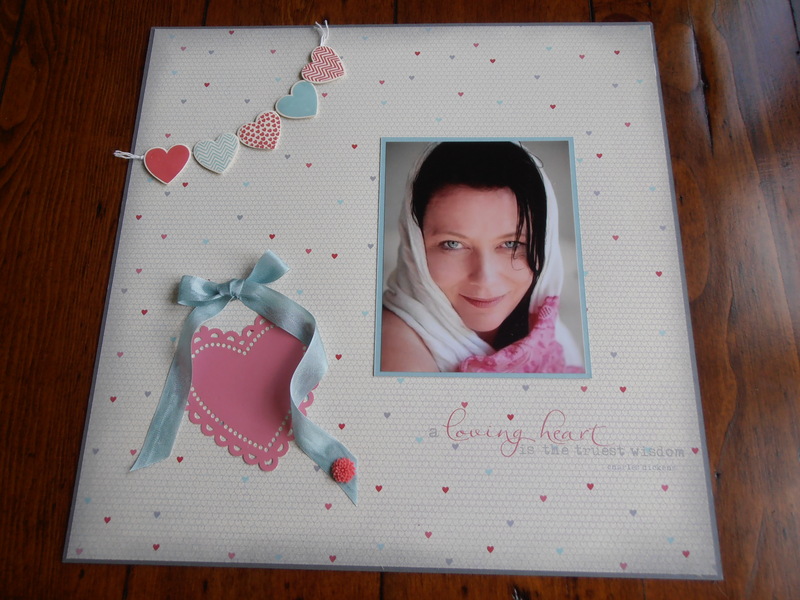 Not only have I used it here for the background but I’ve cut the heart with the lacy edge from the speciality sheet which is in the pack. How special is that? I Jacqui. I think i noticed this on ESAD? or maybe Stampin’ Connection. Just thought I’d pop on over to say that it’s lovely. I’m in love with these new dsp papers too and the one you have used makes a perfect scrapbook page. A nice way to celebrate your daughter. Thanks so much for your lovely words Louise.